Ald. 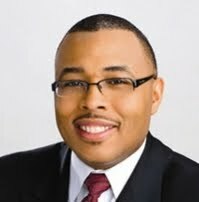 Brookins was certainly a player in the ward remap that was recently concluded in a session of the Chicago City Council. It was a map forwarded by his Black Caucus that the current map is based on. It looks like after mostly negative stories that would see him kicked off the ballot for re-election to 21st Ward Democratic Committeeman, he may be able to stay on the ballot after all. Ald. Howard Brookins can remain on the March primary ballot for 21st Ward Democratic ward committeeman, a Chicago Board of Election Commissioners hearing officer determined today. The election board will now vote on whether to uphold the decision. Brookins’ position on the ballot was put in danger earlier this month when an examination of his nomination papers found he did not submit enough valid signatures from registered voters in the South Side ward. The examination found Brookins, the incumbent committeeman, was about 100 signatures short of the 939 minimum. Burt Odelson, an attorney for Brookins, on Tuesday submitted more than 100 valid sworn statements from voters whose signatures were tossed out after the preliminary examination. The hearing officer said the statements showed Brookins submitted a sufficient number of signatures. Brookins, the chairman of the City Council’s Black Caucus, had been preparing to try to retain the party post with a write-in campaign. “I’m happy I won’t spend extra dollars on a needless write-in campaign,” Brookins said. Two other incumbent Alderman running for ward committeemen around the city are off the ballot. One was removed and the other dropped out of the race in their respective ward committeeman races. Even though being a Democratic committeeman is a volunteer posting it does confer a certain amount of prestige and opportunities for those who seeks those positions.